Yes, it is still winter. I know most of us want to jump ahead to the vernal equinox, but we have twelve more days of winter before spring's true arrival. 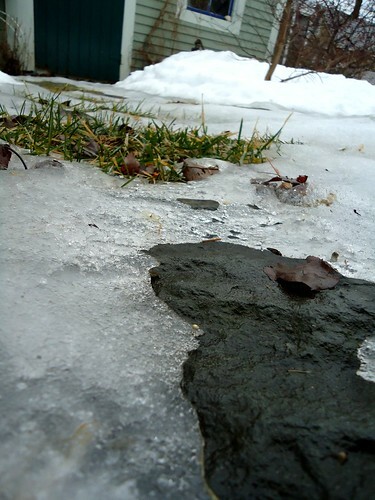 And yet, spring is here, flirting with us, if not wafting in on balmy breezes (not yet), spring is at the edges, in rivulets beneath snow crusts, slowly whittling away at the bulk. Spring is a promise and there are signs all around us. The sound of the necessary sump pump lulls us with gurgles and hiccups that are almost as welcome as birdsong (almost). After such a snow-heavy winter, however, spring's promise is not revealed in a subtle, pleasing manner. No, first we must endure the ugly side of winter. 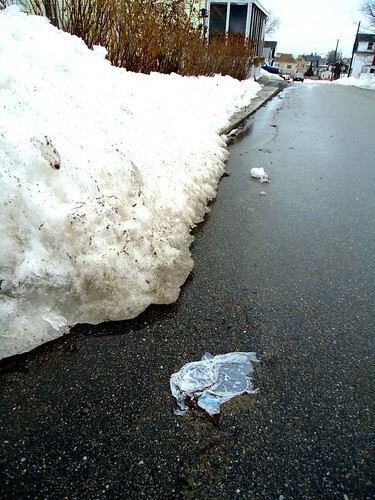 The trash blown by the last autumn winds as the first snow hid it from view, lies in streets, on sidewalks, revealed by the melt. Leaf piles or detritus from the garden, abandoned in those frantic minutes as the sun was swallowed by four o'clock in November, still sit, nearly compost now. 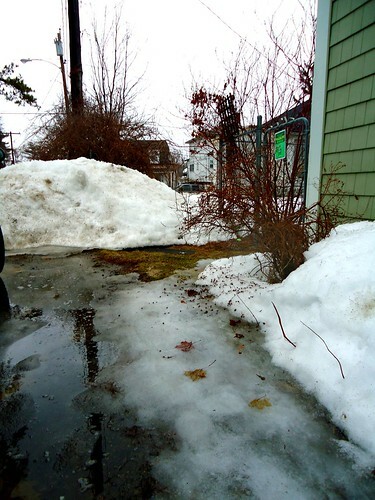 The driveway makes its transition from skating rink to mud puddle of the largest sort. 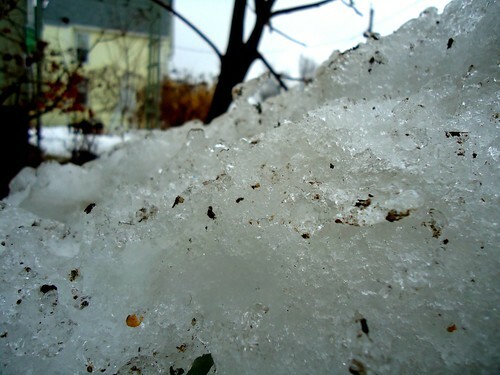 Snow, once pure white, momentous heaps reaching window sills, now crumble in dirty piles, rotten. 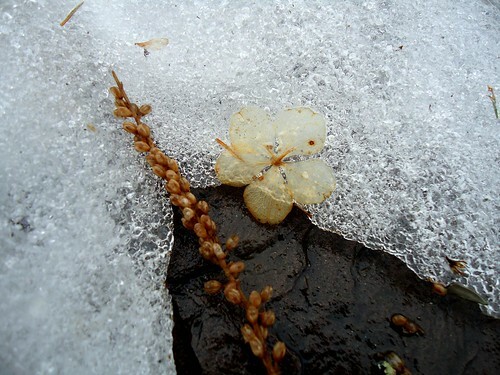 With the thaw, we see reminders of last summer's bloom, antiqued, brittle, and faded. 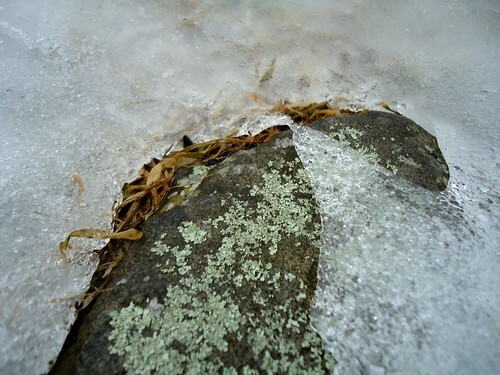 Green lies in wait beneath sheets of ice that have taken on reptilian qualities in the melting. 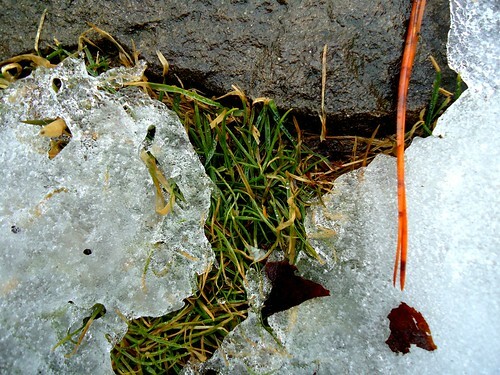 And yet the ugliest end of winter is not in the thawing, the crumbling, the left behind, the puddling, gurgling mess. 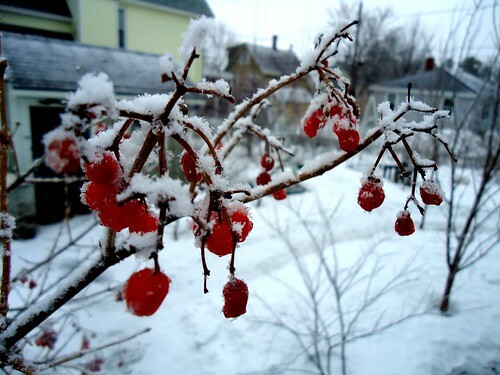 Cruelest of all is winter's willingness to cling, to linger and taunt. 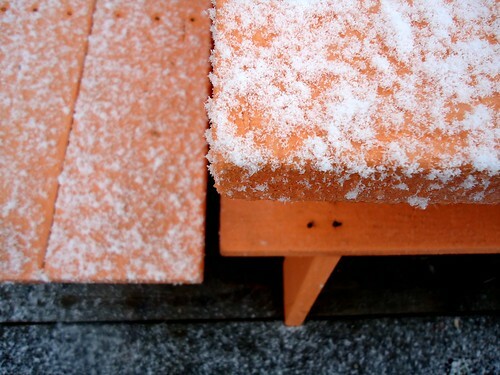 Not an hour after I took these photos, winter returned, coating everything in a sugary, sloppy mess. Sigh. We are indeed on the ugly side of winter, its days numbered as spring approaches. 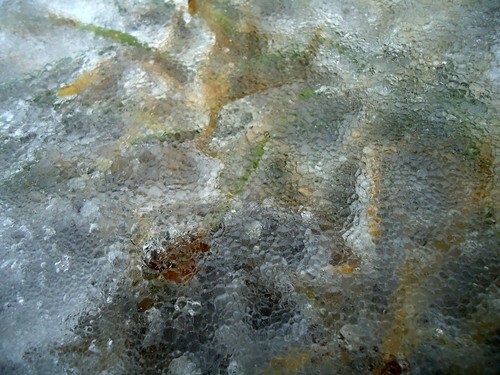 Come the thaw! So eloquently said. It is the ugly part. The bright blue skies and intense sunshine of dec/jan/feb are gone, replaced with gray and gray and gray and gray. And we have a month or MORE of snow left! It is dirty stuff here too. Followed by MUD. ;) Tonight we have sleet and ice, tomorrow snow. At least if it snows regularly it keeps covering up the ugly sludge (even though this time of year it re-melts every week). Love your photos. Thanks, Denise. I know very well that you know what I'm talking about, but really, you think you guys are in for a whole month or more so snow? It has sometimes done that here, but it's been a long time since I've seen that. Bummer. The mud I don't even mind so much, especially if is warming and everything smells of new earth, but where we are now? This in between stage, blech. However, as in November, the angle of the sun is such that on a sunny day, the ocean sparkles with diamonds, so that's a nice thing about March, too. Thanks again! 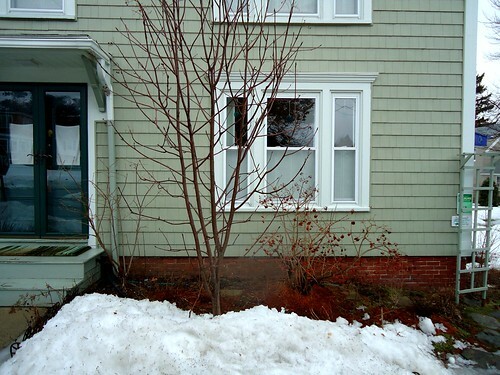 I remember that so vividly from our years Maine... how long the movement from Winter to Spring seemed to take. And a lot of one step forward, two steps back. 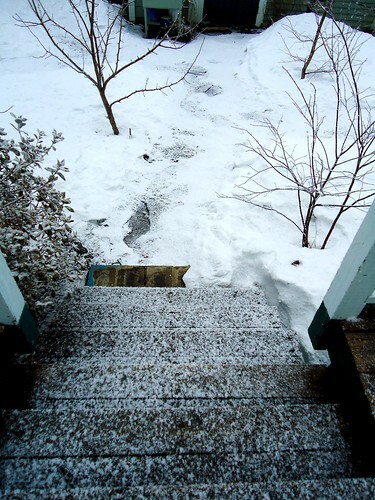 And then all the mud We lived more North/West of you, and higher elevation; still had snow & ice in April, while my mother (in NJ) would call, telling me about all the flowers blooming in March. But the Summers... Summer in Maine made it all worthwhile. Mostly. I miss it.